The audio launch of Vijay’s forthcoming film ‘Mersal’ is turning out to be one of the biggest events of the year in Tamil cinema. Directed by Atlee, the film’s music has been scored by AR Rahman and it also has Samantha, Kajal and Nithya Menen playing lead roles. Incidentally, AR Rahman and Vijay have completed 25 years in the industry, and the whole team of Mersal is going to felicitate AR Rahman for his contribution to Indian cinema on the stage. The Oscar winning music composer will also be performing live on stage, and hundreds of Vijay’s fans are expected to attend the event in Chennai. 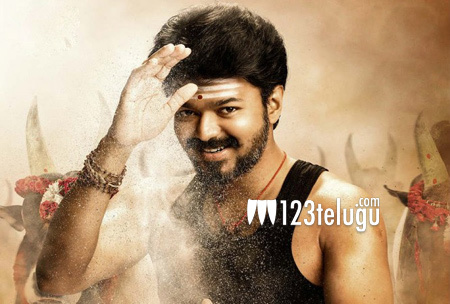 Mersal is going to release simultaneously in Telugu later this year, and the Telugu version has been titled as ‘Adhirindhi’. Vijay will be seen in three different characters in this action entertainer.